On June 20, Jam City and TinyCo, hosted a launch party for Futurama: Worlds of Tomorrow at the Avalon Theatre in Hollywood. The Nerdist’s Chris Hardwick moderated an exclusive LIVE reading of an episode of Futurama by the series’ cast and creators, followed by an exclusive Q&A with co-creator and executive producer of Futurama, David X. Cohen. 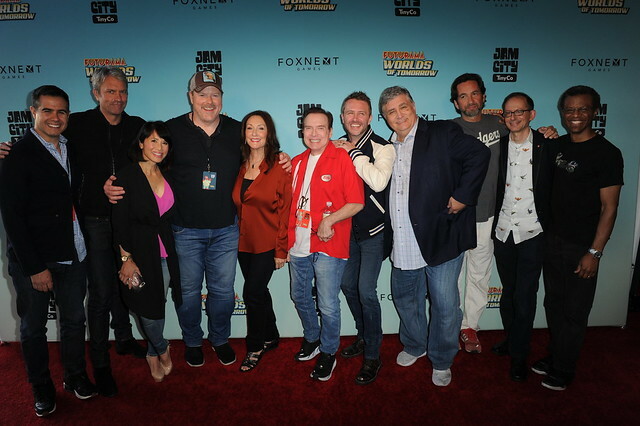 Series creator Matt Groening made a special appearance and surprised guests. Attendees also had the opportunity to receive hands-on time with the game and press interviews were held throughout the evening. The event was OUT OF THIS WORLD!